SOURCE: North Atlantic Industries, Inc.
BOHEMIA, NY--(Marketwired - July 12, 2016) - North Atlantic Industries, Inc. (NAI), an industry leader in the design and manufacture of embedded computing electronics worldwide, has been recognized for their outstanding quality and performance as a supplier to Raytheon Integrated Defense Systems (IDS), at the Supplier Excellence Award Conference in Danvers, Massachusetts on June 7, 2016. 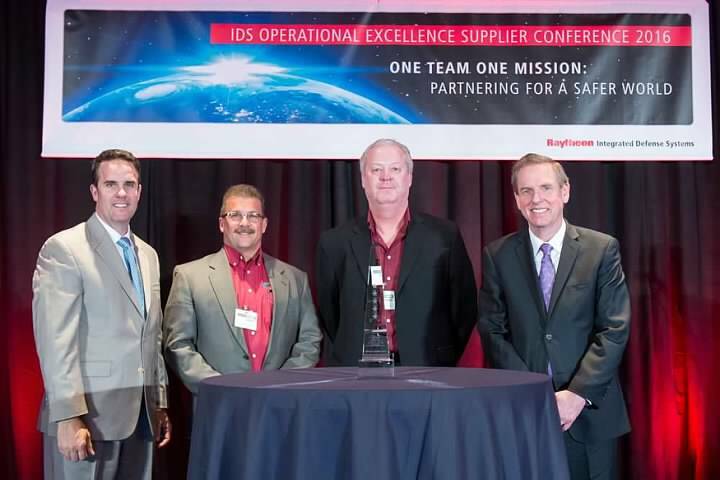 "We are honored to have received this prestigious 5-Star Supplier Excellence Award from Raytheon," said Gene Rudland, Chief Operations Officer at NAI. "I am privileged to be part of such a dedicated team focused on delivering superior performance and the highest quality to our customers. It is this dedication, coupled with our world-class engineering and state-of-the-art manufacturing that contribute to NAI's success as a valued, strategic partner," said Rudland. NAI is a specialized provider of embedded electronics and computing for sense & response-intensive, Mil-Aero applications. We accelerate our clients' time-to-mission with a unique approach based on a Custom-on-Standard-Architecture™ (COSA™) that delivers the best of both worlds: custom solutions from standard COTS components. For over 50 years, companies like Boeing, Northrop Grumman and Raytheon have leveraged our capabilities to meet the demanding requirements of a wide range of I/O- and communication-centric applications, with uncompromising quality, efficiency and responsiveness. Information about NAI and its products can be found at www.naii.com. About this company North Atlantic Industries, Inc.